For each folder or Tab for this matter, you can create a Tasks list. Say you have Work Tab, you can add to-do lists there such as file invoice, meetup with client, etc. If you have a Personal Tab, you can add tasks such as pay bills, pick up laundry & more. You can check finished or pending Tasks right on Daily Notes. You can also set plans on a daily, weekly or even monthly, yearly basis right on Daily Notes and keep track of it. You can add appointments, important events, things to do, etc. as a Task list and have an overview of it for easy checking. 4. Create a Goal Tab. You can also create a Goal Tab. You can take note of your improvements and changes. You can record an audio if you feel like narrating your progress or findings. 5. Keep different, multiple notes. You can use Daily Notes for your client meetings, novel writing, workshop notes, journal writing, book review section and more. You can add motivational, inspirational quotes online just copy-pasting it or by taking a screenshot of it and attaching it to your notes. You can also take photos of receipts, cards, invoices and more, group them and attach it to your notes. 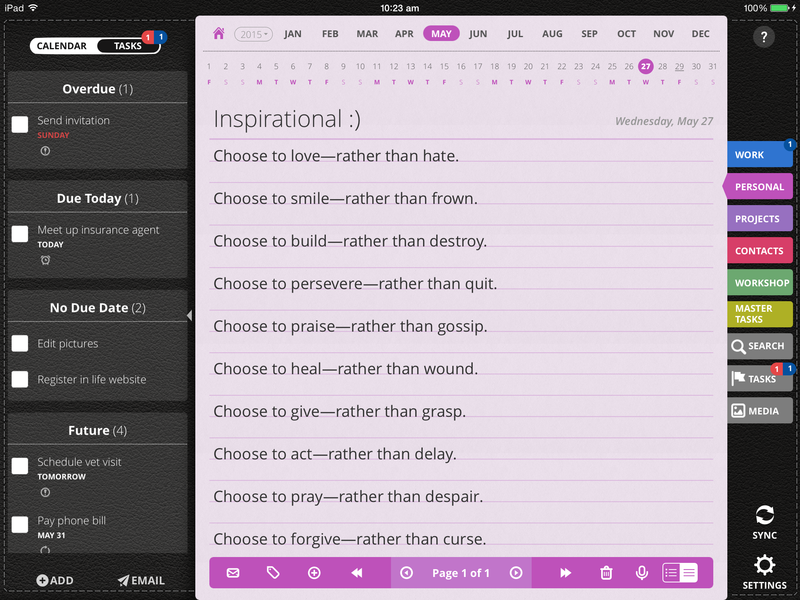 You can have all sorts of data, notes and writings right on Daily Notes and group them via Tabs. 6. Create a Visual Board. 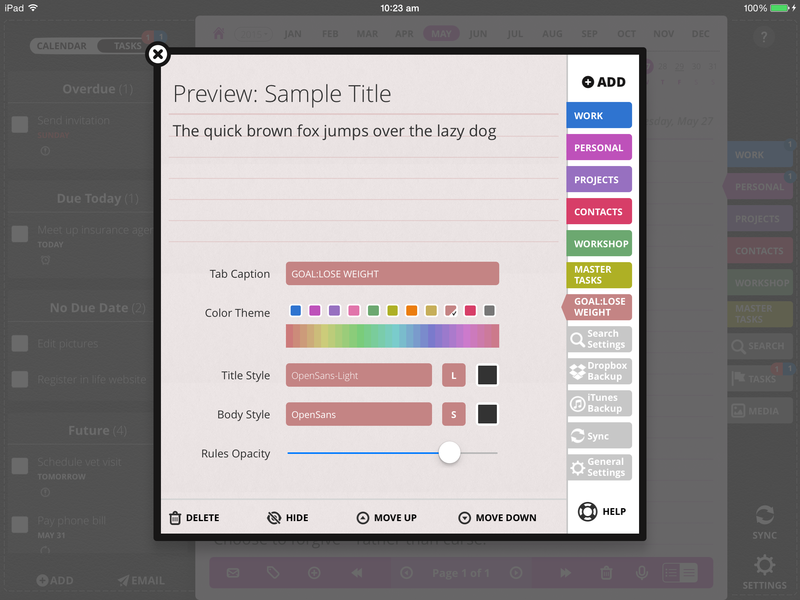 You can also do a Visual Board if you want and attach it as sketch to your notes. Just save some pictures from the internet into your photo album, open up a note where you want to attach the pics then tap on “Attach Sketch”. From there, insert the pictures, write something on them if you want and save them as an image attachment to your notes. 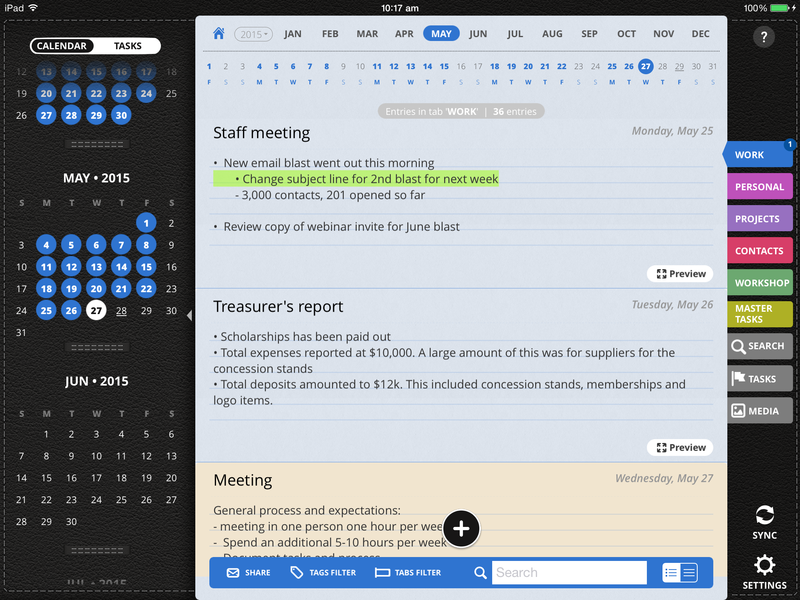 You can also make your Daily Notes-turned-Planner so much easier to manage by tagging notes. Tagging a note makes it easier to look for it right on Daily Notes, so you don’t have to manually sort through all your data. To add a tag, just tap on the Tag icon on the bottom toolbar and type in a title tag. 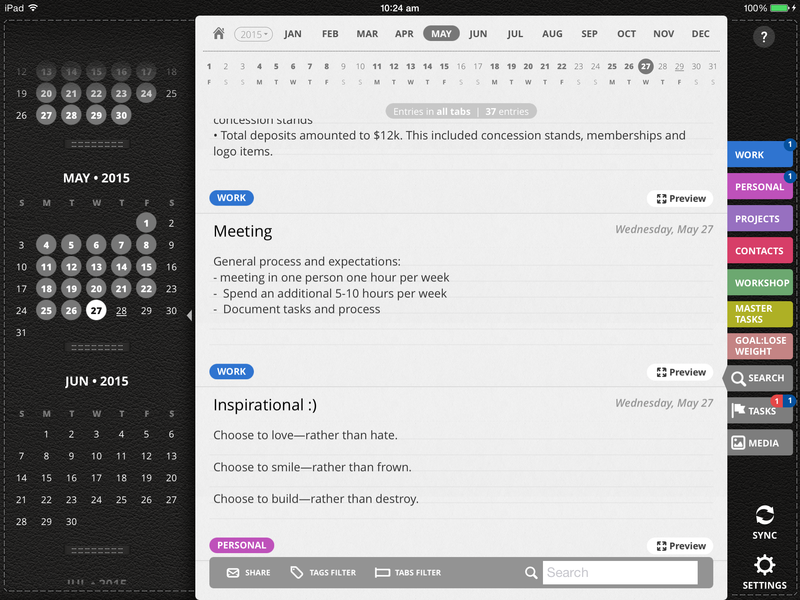 Archiving is also a part of the Planner system which you can also do right on Daily Notes. Just create an Archive Tab for it and easily move your notes with just a few tap on the screen. You can create as many Tabs as you want. What time management system are you using? Share with us in the comments below. i would like to know if you can import contacts or do you mean create a tab called contacts and just write in your contacts individually? Hi Mary, it’s the latter. You can create a Tab and type in your contacts there. You can categorise your contacts and tag them so you can easily find which is which. Hope that helps and hope you’ll find Daily Notes helpful for your daily needs.